When you have a large party of people who need transporting as a group, then why not go for our party bus hire. You can hire a party bus from us with a driver to get you wherever you’re planning to go throughout London; you needn’t get separated or lost from the group as your exciting day of celebrations can begin on the road. Party Bus hire in London and all surrounding areas including Hemel Hempstead, St. Albans, Watford, Slough, Woking, Romford and Harrow to name a few. 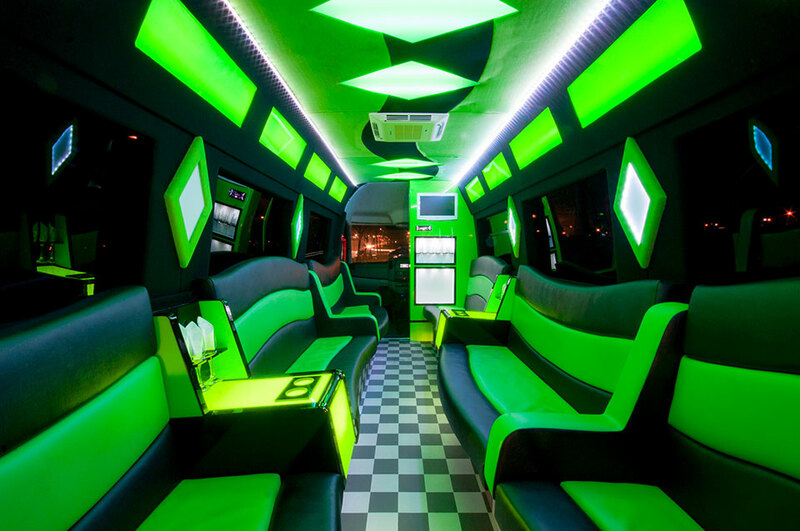 With the unique party buses on offer here at Absolute Style Limousines, you can enjoy all of the luxury of being at the party before you’ve even arrived. With a supersonic surround sound system, connections for auxiliary cables and USBs as well as a CD and DVD player and a lighting system operating under remote control, you can create that perfect party atmosphere to get you to your venue in style. With 16 leather seats, we can accommodate groups of up to this number, offering each passenger drinks from the ice-filled champagne bar. 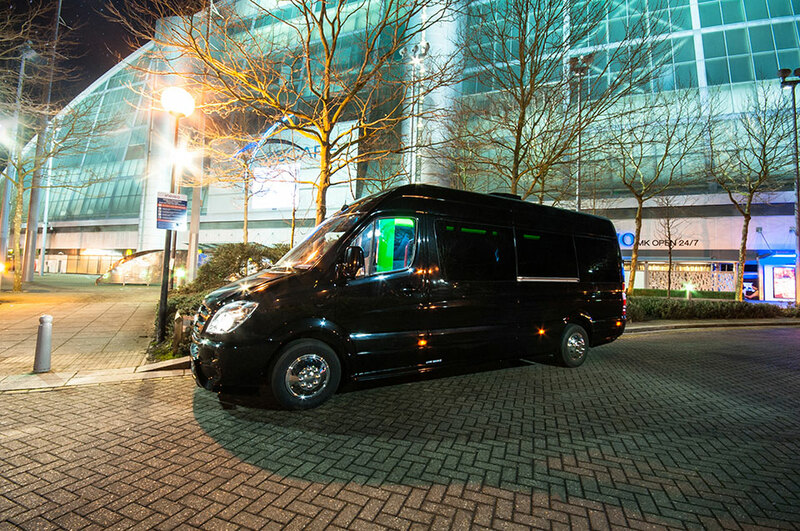 The perfect vehicle for a variety of events including London weddings, proms or hen and stag dos, the party bus is an affordable yet luxurious experience. 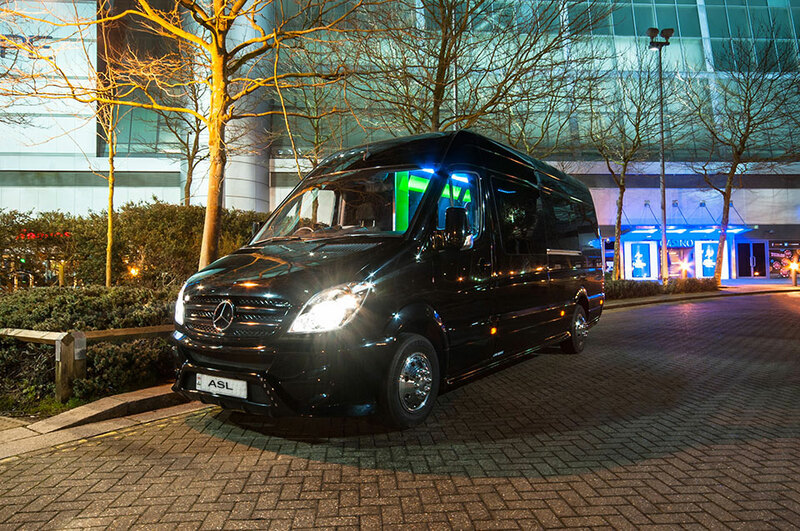 For more information, or to book the party bus for your event, contact the friendly team at Absolute Style Limousines today and let us get you where you need to go in style – and all at a competitive price. Here at Absolute Style Limousines, we know that when you’re planning a big day out or a major milestone event that you want only the best in every detail. That’s why we offer limousine hire and luxury car hire in London for a whole host of events, including: Weddings, Race Days, Airport transfers, Long Distance hire.